In accordance with Bette’s wishes cremation will be conducted and there will be no public services held at this time. Bette Anne (McJury) Gave went to be with her Lord and loved ones on September 15, 2018. This little red-headed girl came into the world on March 15, 1940 in Three Rivers, MI the daughter of Leon R. and Dorothy L. (Wagner) McJury. She was preceded in death by her father in 1942 and, by a later marriage, her parents Dorothy L. Kaiser and Claire E. Kaiser, her seven beloved Boxer dogs, Prince, Blitz, Jack, Jill, Chocolate Chip, Dyna, and Nitro, her special grandmother Grace Wagner, and several aunts and uncles that all held a special place in her heart. Bette is survived by her husband Jan W. Gave, whom she married in 1963, a beloved son Kevin L. Gave, a cherished sister Kaye Williams of Pueblo, Co., a beautiful rescued kitty, Miss Pumpkin, her forever friend Annette Lundberg, whom she always knew she could lean on for prayer, love, and enduring friendship. Special friends Barbara Redford and Marilyn Pontius, and a plethora of wonderful lifelong acquaintances. Her smiles warmed your heart, her caring ways showed in everything she did, and her uplifting spirit softened many a difficult day. Bette graduated from Three Rivers High School, attended WMU, and graduated from Parsons Business School. Important to Bette was giving back and being there for her extended family and anyone who needed her. She truly loved helping people and was happiest and most fulfilled when doing so. Bette spent her life as a wife, mother, homemaker, and volunteer. She worked tirelessly at Andrews Elementary in the 60’s and 70’s, co-chaired American Cancer Drives, chaired and worked elections, volunteered with the Three Rivers Health Auxiliary, and spent many years on the “Lights of Love” committee. For the last 17 years she enjoyed working for Probate Court doing guardianship reviews. Traveling, going on Christian cruises, and attending Southern Gospel Concerts with her dear friends were the highlights later in her life. In her free time Bette could be found reading inspirational books, working in her yard, or spending the day wandering through the shops in Shipshewana. Bette’s deep compassion and love for animals led her to serve on the Park Board for several terms where she helped plan and establish the Scidmore Park Petting Zoo. Helping little children to value and respect animals… hold them in their little hands… feel their hearts beat… learning that they feel tenderness, pain, and fear, just as we do, was very important to her. Memorials in her honor may be made to Best Friends Animal Society (Bestfriends.org), The St. Joseph County Animal Rescue Fund, The Goshen Center for Cancer Care, or to the charity close to your heart. Envelopes available and also may be sent to Hohner Funeral Home in care of arrangements. Jan, I am sorry to hear about the passing of Bette. My condolences to you and the family. So sorry to hear, Jan.
Praying the memories of her will bring you comfort. I am so sorry for your loss, Jan. Please find peace in knowing she is with her Lord and that she touched the hearts of many friends. I’m so sorry to hear of your loss, Jan. Prayers for peace and comfort for you and your son. Thoughts and prayers to you and your family. May you all find comfort and peace, as you all gather to celebrate your mother’s life and say goodbye. We recently lost our mother and the fond memories help us heal daily. My sincere condolences. Jan sorry to hear of your loss, prayers to you and your family, she will be greatly missed by all. John and I send our prayers to you Jan and Kevin. Bette was always a happy go lucky woman with a great smile who truly cared about the animals and the park. Bette had a beautiful laugh. She will be greatly missed by everyone. Judy (Gilchrist) and John Mohney of Stayton, Oregon. Deepest sympathy, Jan on your loss. Thoughts are with you. Betty had a servants heart for people and a love for animals. 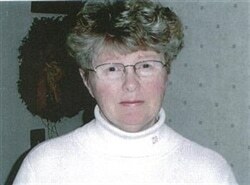 She served her community as a volunteer for many years and it was very much appreciated. My thoughts and prayers for her family. Sweet, kind, loving and patient Bette….You had the the kindest eyes and most beautiful smile and laugh. I have spent a lot of time thinking about out road trip to the mackinac bridge to pick up Jan…you were so easy to talk to and I loved to make you giggle. Thank you for all of the recipes, the peanut butter cookies are the boys favorite. I am grateful you are no longer in pain and you are surrounded by love and light. My heartfelt sympathy to the family of Bette. She was a lovely lady.